Last year researchers at the University of California at Berkeley published the results of new studies on the anti-aging health effects of Acetyl-L-Carnitine (ALC) and Alpha-Lipoic Acid (ALA). The evidence is compelling and the results show you can, in fact, reverse the effects of age, improve your health, and add to your longevity using this advanced anti-aging supplement. Studies show that Alpha-Lipoic Acid (ALA), an anti-aging supplement can reverse the effects of aging while improving your health and adding years to your longevity. As we progress into our later years, we have a lower energy demand and our eating habits change. The result is a reduction in energy metabolism. Our ALA/ALC boosts your energy while working to reverse age-related changes that occur to the body later in life. The University of California at Berkeley published the results of new studies on the anti-aging effects of ALA/ALC. The results show, in fact, that you can reverse the effects of aging. In addition, a landmark study, published in the Proceedings of the National Academy of Sciences and produced by noted biochemist Bruce Ames and a team of scientists, describes the powerful synergistic abilities of Alpha Lipoic Acid (ALA) and Acetyl-L-Carnitine (ALC) to significantly fight aging. Together, these two nutrients were shown to help fight diabetes, maintain proper cognitive function, support heart health, support energy production, protect the body from radiation and chemical toxins, and maintain and build immunity. This anti-aging supplement supports a wide range of health needs. Our ALA/ALC has both Acetyl-L-Carnitine and Alpha Lipoic Acid, two highly researched anti-aging ingredients combined into one powerful daily supplement that fights biological aging. Alpha Lipoic Acid (225 mg): ALA may be the most important anti-aging antioxidant discovered in the last 25 years. It is essential to your body in the production of energy and one of the most powerful antioxidants known to science. Super Ingredient Number One: Alpha Lipoic Acid, the Universal Antioxidant. There are many published studies and scientific reports that provide strong evidence that Alpha Lipoic Acid defends against cancerous cells. ALA can actually enter affected cells and prevent the further growth of mutant cells that cause cancer. Further, Alpha Lipoic Acid also enhances our immune function which is our first line of defense against contracting cancer. It does this by totally neutralizing free radicals that would normally impair and compromise our body’s immune system. Alpha Lipoic Acid can reduce elevated LDL Cholesterol by as much as 40 percent. This is the cholesterol that can harden in the arteries, create blockages and lead to a stroke or heart attack. It is also well-established that ALC/ALA can reduce total serum cholesterol and prevent it from oxidizing in our bodies. ALA is very heart friendly as it can improve the oxygen uptake of the heart and, as the LDL cholesterol is lowered, may have a positive effect on lowering blood pressure. In other words, ALA is very heart beneficial and should be part of any preventative measures against heart disease for seniors. Aging induces several functional changes in our brain. Blood supply to the brain decreases as we age and the number of neurons diminishes (the brain cells that specialize in transmitting information). The result is we think a little slower and our memory begins to slip. We just aren’t quite as sharp as we were a few years back. Many studies and research programs have shown supplementation with L-Carnitine significantly improves mental status and brain function in maturing adults over 50. ALC can reduce your risk of Alzheimer's disease and may slow its progression. It is also currently being used to successfully treat Parkinson's disease. L-Carnitine can be regarded as the ideal nutrient for a long life. Aside from being an incredible anti-aging nutrient, it also has been shown to be beneficial for multiple medical conditions, including cardiovascular disease such as angina and congestive heart failure, liver and kidney disease, obstructive lung disease, and many others. 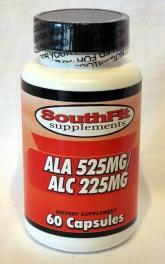 SouthFit ALA/ALC has 500mg of L-Carnitine, which provides the proper amount that seniors need to stay healthy in both mind and body. A number of studies have shown the beneficial effects of dietary L-Carnitine for weight management in humans. When used in conjunction with a reduced-calorie diet and moderate exercise, L-Carnitine supplementation resulted in a much greater loss in body weight in obese people, a decrease in low density lipoprotein (LDL) and blood sugar levels and a reduction in blood pressure. Numerous clinical studies provide evidence that supplementary L-Carnitine may contribute to optimal fat oxidation and along with dietary changes and exercise, L-Carnitine supplementation may promote a healthier body weight. 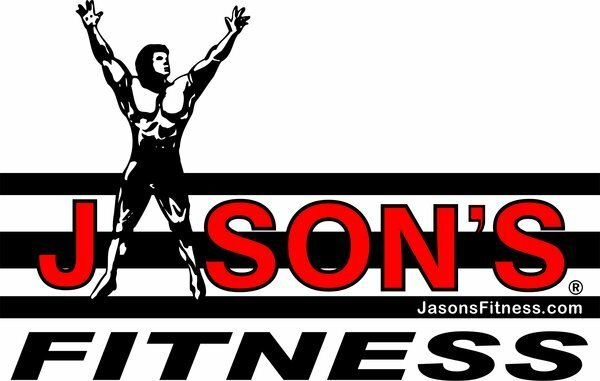 It, therefore, can be an important part of your weight management program. Clinical data indicates that L-Carnitine supplementation can positively support healthy heart muscle, can significantly increase heart muscle viability, and is beneficial in supporting a healthy heartbeat. Other clinical research data indicates that L-Carnitine supplementation is helpful in maintaining healthy cholesterol and triglyceride levels.